If you are like me, you can’t help but want to get your yard and garden back to the glory days of warmer weather. Unfortunately, our growing zones in the northeast do not comply with this wish! Therefore, I have come up with some options to help sooth my gardening soul during the winter months. First check out your USDA hardiness zone and then start planning for the spring. Most important, is the last expected frost date. Most of the Greater Philadelphia area is either Zone 6 or Zone 7. Planting microgreens will have to suffice. Seeds of microgreens, like arugula, beet greens, mizuna and pea shoots are readily available in January. Another fun option is growing sprouts. 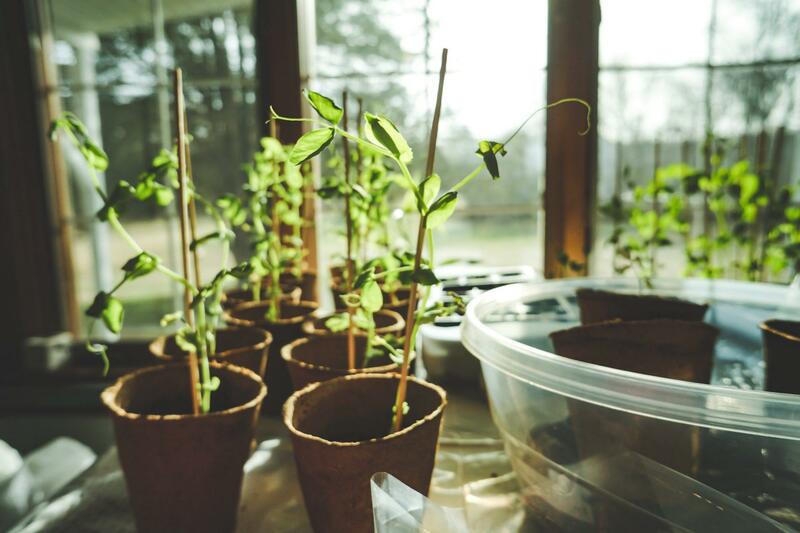 Look for seeds that are specifically labeled “sprouting seeds” or “for sprouting.” There are many vegetables you can grow as sprouts – try alfalfa, beans, radish, beets, peas, and sunflowers! A good rule of thumb is any vegetable that you can eat the leaves or stems are good for sprouting. Now is the time to start your slow growing veggies and herbs indoors. This would include celery, parsley, onions, and leeks. There are also a lot more varieties to choose from when you start from seed. Indoor flowers that you can start under lights would include begonia, browallia, delphinium, dusty miller, pansies, and snapdragons. All of the above and then some! Toward the end of the month start your broccoli, cabbage, cauliflower, kale, and lettuce indoors to plant when the weather warms up. Geraniums and coleus can also be started at the end of the month. Add peppers to the list and cooking greens such as collards, kale, Swiss chard, and sorrel. If your soil is easily worked, strawberries and bare-rooted and asparagus are game! January is also a good time to plant fruit trees in Zone 8. The cool crops growing season is already going strong in January so have a ball and enjoy the weather! You can start the seeds of eggplant, kale, lettuce, melon, peppers, squash, tomatoes, and basil. Your transplants will be more than ready to harden off once the weather heats up. January is also a great month to plan your garden. Check out the seed catalogs for new and interesting varieties. Do a little daydreaming and get ready – spring will be here before you know it! To learn more about Nave Newell’s landscape design and planning services, contact Paul Lepard, Jr., RLA, PP at plepard@navenewell.net or 610.265.8323.